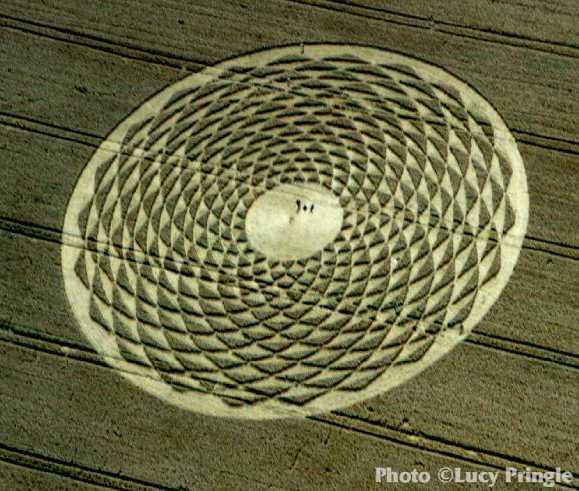 Crop circles - Electronic devices in crop fields. Explanation, decipher, decode, discovery, break code, explaining, decryption, puzzle out, scientific research. Electrical resistance - R. Capacitor - C. Coil - L.
All objects on field, including plants, show physical properties, also electrical. For example, the electrical resistance of a crop stalk is several megaohms/centimeter, just before the harvest quite a bit more. From the beginning it was more just a fun. Search fields for various components and devices of Electrical Engineering. Such an unconventional type of humor, primarily used as an entertainment during an uneventful activity, get rid of its monotonicity a little. Not just only parts, but the whole devices, and not just electrical, but various technical and technological tools and devices. For example, spirit level and plumb - they are built inside plants, to help maintain correct direction of roots to grow down and stems up. Luxmeter - to monitor how much light is available and where, which direction, and leaves and ripening flowers are rotating and opening-closing. The stems and leaves are under very high voltage potential of the storm cloud (its voltage related to earth is several billion volts) moving a little like leaf or stem electroscopes, rotating in several directions, without any need of any lightning discharge at their close range. At first it seemed that in the field would be detected at most any passive components - resistor, capacitor, coil. Any material has a measurable resistance, inductance and capacity, and plants can be regarded as different series-parallel interconnection of these components. Also a simple device as mentioned electroscopes, but also voltmeter and ammeter should be found. 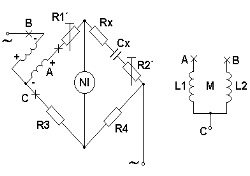 Through R, L and C would be set up to field a variety of serial, parallel and serial-parallel connection of resonant circuits RC, LC, RLC, with different resonant frequencies, and it would be possible to try to establish their resonance with the electromagnetic radiation of various frequencies, all of which are really over cereal field during lightning discharges occur, see Physics. With a little imagination is alo possible to find such complex apparatus as an oscilloscope, and try to explain the occasional occurrence of very rare occuring imitations of Lissajous patterns (), but also a variety of resonant circuits. To explain the shape of figures is probably quite sufficient mechanical resonance and interference, even though sometimes it may not look like that. Also, may occur more complex electromagnetic interferences and reflections, (ie also light and heat - infrared) waves, propagating at the speed of light, and various phase boundaries between some of these media: plasma - shock wave - pressure wave - air, their phase interface is moving at speeds comparable to the sound, ie million times slower. Plants in the field, planted as a relatively continuous grid, behave as sensitive layer of a photographic (recording) material, or CCD or CMOS sensor. Charge Coupled Device (CCD) - between individual cells travels electric charge, between individual plants also move an electric charge. But such "Field CCD" need in most cases at least 14 days (sometimes longer than two months), before showing the output file. Resistance - every object, of course, exhibits some resistance. For example, a corn stalk in the green stage, ie approximately to the end of June also something more is about 5 MΩ/cm (also leaf, similar impedance). Even if in 2011 has been photographed near Patrin in May winter barley in such a degree of ripeness, that would be harvested immediately (photo), ie in a state of completely dried, ripened plants. After reaching a higher maturity stems obviously exhibit a greater resistance. Another important indication is the contact resistance og lightly touched stems and leafs, whose informative table will be located here, as well as contact resistances of leaves and stalks tightly clamped together. Also will be clearly shown what effect on contact resistance has the force that presses plant parts together. During the creation of some patterns may play namely a significant role such a temporary structure created by partially inclined stalks and leaves, touching each other, whereas the conductivity of such structures may be more than thousand times higher, than upright standing crop, whose stalks and leaves are almost not touching together, or only insignificantly. Plants may be inclined by the wind, pressure or shock wave after the Lightning Discharge, that often creates on the surface of the structure of plants in the field divergent circular waves like circles on the water surface. (foto, videogif) Who has ever seen a wind-waves on the field, is also able to very clearly recognize, that after such an intensive vertical pulse from above, like the lightning discharge is, there must appear a circular wind waves on the crop surface on that field, and discharges may hit there several close to each other and create interesting intersections and interferences. Plants create a temporary structure, in which they are quite intensively touching one another (by a measurable force), at first by the action of pressure wave, later by their own momentum. Touching in many points and much greater force than during no significant wind, when they are in contact only really very negligible. It can show up many thousands times less electrical resistance than in the normal conditions (no wind, no pressure wave). If such a temporary structure hit some restrike (also induction possible), passes through that inclined plants much more energy, but only through those that are just tilted, so temporarily create a fairly accurate figure, or several figures, or their intersections interferences, or other shapes. After a few seconds, everything will return to its original state, and the whole process is just beginning. Everything is explained in more details on pages chronology. Also will be, probably on the site mechanics, constructed several computer models. Although the general public, after the initial, totally uncompromising and very aggressive rejection (as usual), later will very eagerly, totally uncompromising and very aggressive support (as usual) the possibility of creating resonance and interference patterns in the crop through electrostatic and electromagnetic resonance and interference during lightning discharges, htere would be a need of somewhat restraining. 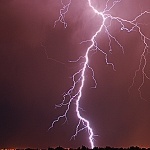 Even if the amount of the energy transmitted by the lightning discharge is huge, absolutely unimaginable by any people's mind, mainly thanks to that its complete transfer occurs within a few millionths of a second, see menu Physics and submenu, also many other subpages of this web site. There may therefore take place enormous, unimaginable electrostatic - electromagnetic - electromechanical interferences. Yet an interim research, calculations and PC simulations suggests, that a very complex interference patterns may be quite sufficiently established only by mechanical interferences. Of course, effect of electromechanical and electromagnetic forces can not be excluded, vice versa. Is not excluded that sometimes involved, in combination with mechanical forces, or rather their very regular and symmetric spreading in all directions in the originating of the most complex structures, sometime fractal. A fractal is of course just a certain form of resonance and interference. Almost always inside the circle, very complex, multiply axes symmetrical interference or fractal or combinated patterns. Although it is not excluded either that, according to some models, all that very complex structures would have occurred in a purely mechanical way. Modellings are under construction, but there is a need of a bit more time and work (both human and computer) spolkne. For now, it is possible to compare the two figures, one of them looks like an unfinished version of the second, when the beam (beams) inside the temporary circle did not move sufficiently long to get the job finished. Nature itself has created a nice model like computer-made, and did not need even a minute of a human or a computer work, it was enough for all that to work an energy of lightning discharges for a few millionths of a second, and several days of growth and maturation processes work in addition, that were displaying all that (some like a Nature Infrared - Laser Printer). It is a combination of one of the simplest patterns, forming the border - a circle, and also a very complicated pattern inside it. The boundary circle was created by the first discharge, mainly by the mechanical forces. Pattern inside was created mainly by electromagnetic rays radiated by one or more subsequent discharge. Beams within a circle (cylinder) reflect mainly on the boundary wall formed by phase interface. When exceeding the limit angle may cause a total multiple reflections within a very precise circle, that is very slowly (in consideration of electromagnetic rays velocity approximately million times slower), but still noticeable speed and completely evenly extends to the surrounding. During the time at which the electromagnetic beams in an expanding circle traveled a lot of thousand meters, its diameter increases by only a few millimeters. The greatest amount of subsequent electromagnetic energy pulse (LEMP, RS), over 99%, is in many cases radiated during a time not higher than 10 millionths of a second. During that time light travels 30 km and the diameter of the circle inside that they are repeatedly reflecting is changed by 30 mm. As an example of a phase interface, that is able to reflect waves, is possible to note the case of the night sounds. Therefore is possible during the night hear very distant sounds, such as trains. During the night, thanks to the absence of the sunshine and thanks to that caused rapid cooling of some layers in the atmosphere creates a very sharply defined interface of cold and warm air, od kterého se zvuk velmi výrazně odráží. Not only a temperature difference, but also with significant differences in pressure, humidity and dew point. Often also create at a certain altitude clouds, that operate very similarly. Sound intensity decreases in this case only as the square of the distance, while on a clear day its fading is subject to the cube. In described case act mechanical waves (sound), and it is a similar case, as the difference in the spreading of thunder after lightning below clouds during the normal storm and the lightning from the blue. Very similar case, where act the reflections and propagation of electromagnetic waves, is the night shortwave radio propagation, where in this case the waves reflect many times between the ionosphere and the ground. 2) Why are the patterns mirror symmetrical by multiple, sometime very much axes, including the very "unbalanced" numbers (also prime numbers, like 7, 13). 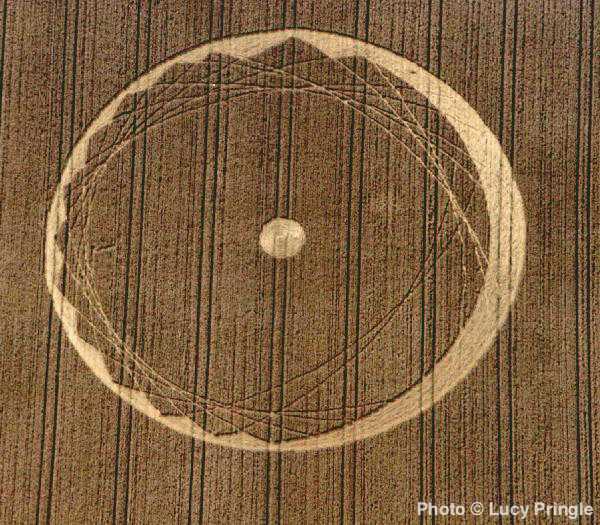 picture, 2001, Avebury Avenue, Wiltshire 14th August 2001), there would be probably 54 axis of symmetry. There is very interesting fact on the patterns that the bottom, like an unfinished copy of the top was discovered just a year and a day after the previous one. It is possible to note that the bottom figure has approximately 2 times larger diameter, that is 4 times larger area, so probably there was not left a sufficient energy amount of subsequent discharge to complete rendering of that pattern. Images may be increased by placing cursor over (only - click follow links to sources). 3) Why are the patterns so complicated. The answer is quite thoroughly contained already in paragraphs 1 and 2, but here will be worked out sometime in the future several other, less relevant reasons, and above everything documented by drawings and computer simulations. 4) Excursion to the pattern near the wire fence - an explanation of the absence of the main boundary circle. Wire fence acting as conducting tissue and priming grid. At the time when the plants after the first mechanical impulse formed the first temporary circle, was its electromagnetic radiation and therefore all electrical power already at an estimated distance of 30,000 kilometers from the discharge point, and therefore can not contribute to damage plants (by the electricity). Therefore it is far more likely caused by some subsequent discharge, which hits into the place exactly at the moment, when the circle is created by mechanical effects of preceding discharge. Plants are touching each other quite closely in many points and form many thousand times electrically conductive structure than in normal conditions. Precisely at the time when at the impact point of the discharge (the first RS) occurred its electromagnetic radiation and energy, plants were by its mechanical action not deflected from their basic position even a milimeter or just slightly, because all mechanical consequences will become even after the electric pulse. Although they arrive quite quickly, measuring units of the electric current changes are counted in fractions of a millionth of a second, while the time units measuring the intensity and changes in the mechanical action of the discharge consequences quite enough possible to measure out in thousandths or hundredths of seconds. Current rate of rise curves of the first RS (steepness, gamma, dI/dt) are an average 30 000 amperes in microsecond, subsequent RS up to 200 000. The specific deviations in tilt direction of plants before the first hit RS may happen, plants and their leaves can be deviated from the standard position due to the static electricity. Potential difference of several billion volts, followed by repeated electrical impulses of several hundred thousand amperes, is after all just a bit different from the force, by that are deflected stalks and leaves of electroscopes in the school laboratory, where there become to a deflection of objects weighing fractions of milligrams in a distance of a few millimeters. On the location sometimes is prepared, and later there is really conducted between the heaven and ground such a huge current and power, that is able to drive an electric locomotive at a distance of tens thousands kilometers. There is no need of very creative imagination to reach a conclusion, that the points 1, 2, 3, and 4 would be very difficult to happen a under a very severe wind and rain, that would any symmetrical events either made completely impossible, or at least thoroughly "disheveled". The lightning discharges are in large majority of cases accompanied by very strong wind and rain, and in such cases will become to "only" a fully common, quite irregular lodging (damaging, weakening) and patterns.